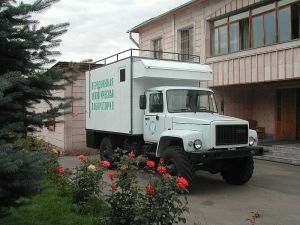 KAPE LLC Mobile Ecological Laboratories (MEL) take measurements of pollutant concentrations in the natural environment. The right to conduct this type of work is confirmed by an accreditation certificate under the number KZ. И.02.0211 of 03 January 2013, issued by the «National Accreditation Center». The laboratory is installed on the GAZ -3308 SADKO vehicle chassis, which makes it possible to get to hard-to-reach places (production facilities, industrial sites, waste landfills) under various weather conditions. 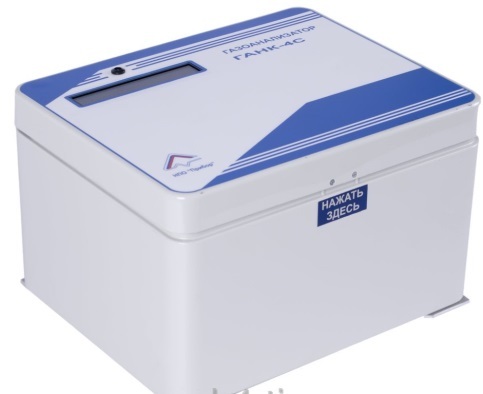 Measurements of pollutant concentrations in the ambient air and in the air of the working area are carried out with the help of gas analyzers HANK-4 (AR), manufactured by OOO «NPO «Pribor» Hank» (Russia). It determines the concentrations in the air: NO2, NO, SO2, CO, H2S, hydrocarbons, phenol, formaldehyde, dust and others. 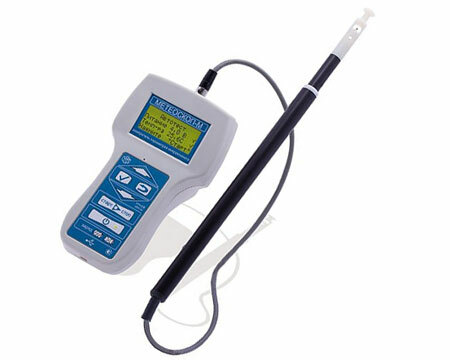 Aerosol analyzer DustTrak 8533, manufactured by «TSI Inc. », (USA). The analyzer has the function of fractional aerosol particle separation in a sample, measuring the total mass concentration of dust and the mass concentration of individual fractions of aerosol dust particles (PM 2.5, PM 10). These aspirators are designed for sampling air on sorption tubes or aerosol filters to analyze the presence level of chemicals (NO2, NO, SO2, CO, H2S, hydrocarbons, phenols and others). 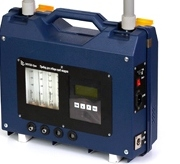 They have wide ranges of flow rate of the investigated air (0.2-40 l / min, 60-150 l / min.). 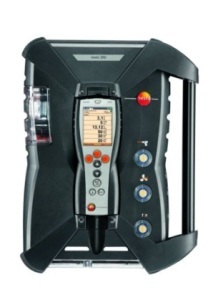 Composition control of the industrial emissions is carried out by portable gas analyzers Testo-350, Testo-350XL (Germany). 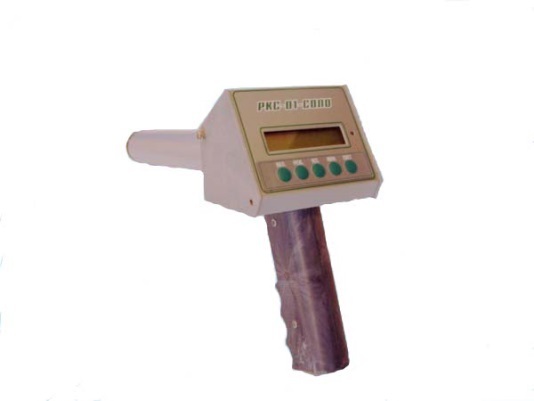 Allows the determining of emission content: CO, NO, NO2, HC, SO2, H2S, O2. In addition to that the instrument provides information on the flue gas pressure, velocity and temperature of the flue gas stream. 3. Measurement of meteorological indicators. 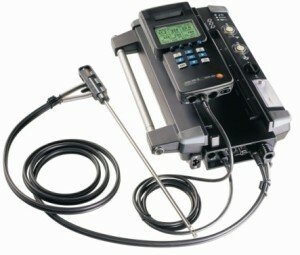 Measuring instrument for microclimate parameters METEOSKOP-M manufactured by «NTM-Zashita» LLC (Russia)The device allows us to measure air temperature (-40 ° C to + 85 ° C), relative air humidity (from 3% to + 97%), pressure (from 600 to 800 mm Hg), air speed ( From 0.1 to 20 m / s). To conduct radio ecological survey and to control the radiation situation, the dosimeter-radiometer RKS-01-SOLO produced by «SOLO LTD» LLP (Kazakhstan) With the help of this device, an equivalent dose of gamma radiation is measured in the range from 0.05 μSv / h to 3 × 102 μSv / h, and an equivalent dose of gamma radiation up to 1 × 108 μSv. PEL «KAPE» LLP has participated in a number of monitoring studies of the: Northern Caspian (marine survey), Central, Eastern and Western Kazakhstan environment since 2002.The industrial monitoring of organized sources of emissions was conducted on offshore drilling platforms, industrial enterprises of the oil and gas sector, food and light industry enterprises, factories, mines, quarries and others. Significant experience in the certification of production facilities is based on the working conditions of large enterprises.